We are conscious that more and more companies are looking to introduce an effective Direct Resourcing Model which focuses on the direct sourcing of permanent and senior contract hires where possible. We understand this; it makes sense. However, we do not agree that it is going to bring an end to the Recruitment Consultancy as there are always going to be occasions where in-house teams will need additional support. Experienced enough to challenge thinking and suggest a plan B, C or D when necessary. Wright Solutions are a boutique HR, Training and Executive Recruitment Consultancy that is used to working in partnership with HR teams and professionals. We do not use Junior or Trainee Consultants but instead combine the expertise of our Senior Consultants on every assignment to ensure that our clients benefit from our market knowledge and experience. So on the occasions where you need additional support, you will get it from experts that you can trust to deliver. Our experience in the HR sector also means that your HR teams can feel confident that they are talking to consultants who understand the language and culture of HR and can respond quickly and efficiently to them. With over ten years of experience, we feel that we have proven our ability in recruiting for 'everyday' roles, however, going forward we would expect your teams will be looking to source those roles. We, therefore, expect to be engaged in roles where you may already have completed strong and exhaustive searches of job boards and social media and been unable to attract the right calibre of individual. This is where we can be most supportive. 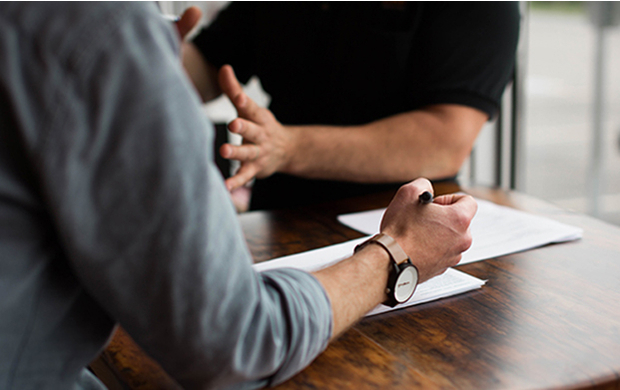 With each of our consultants having over ten years of experience in the HR sector, they have extensive networks which they can tap into to source the ideal candidate that you need. The perfect candidate may not be actively seeking employment and, therefore, has not responded to your job adverts, but they may well respond to a call from a trusted advisor who tells them that they have a fantastic opportunity for them. We believe that our ability to provide high-quality individuals to you from a pool of 'passive candidates' will be of enormous benefit to your Direct Resourcing teams. The other scenario where you may choose to engage with external recruiters is when you need to run a discreet campaign. As a company with the experience and extensive networks mentioned above we do not rely on job boards and LinkedIn to source candidates and are used to recruiting quietly through direct and discrete approaches. Our experienced consultants are also confident enough to not send you CVs. We understand that in your new Resourcing Model your teams are likely to have engaged in time-consuming CV shortlisting and interviewing before engaging with us. We will, therefore, be keen to not send CVs or recommend candidates that we know won't suit the role or the business. We also expect that on occasion our searches will confirm that your teams have already identified the best candidate available and we will be happy to tell you this. We believe in working in partnership and not competition with in-house Recruitment Teams. We are a team of experienced, down to earth and approachable consultants who take genuine pride in adding value to our clients and putting ourselves in their shoes. You can be confident that we will tell you if our experience tells us that you have benchmarked a salary too high, already seen the best candidate or are looking for the impossible skill set. This is what we mean when we talk about 'challenging thinking and suggesting a Plan B, C or D'. We would be keen to show you some of our testimonials and prove ourselves to you.